DikaDoll has released a new 1/3 size youth line boy named Jose. He is available for a limited time at a 12% discount until March 20th. 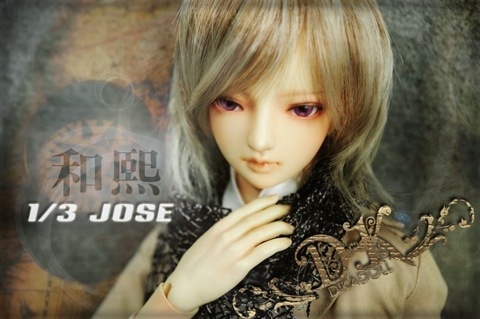 61 cm tall Jose can be purchased with a single or double-jointed body. Resin colors include Normal Yellow (similar as Volk-normal), Normal Pink (similar as Dollzone-normal pink), and White (similar as ivory white). Special orders can be placed to commission Dikadolls in grey skin & tan skin. Sales information and photos can also be found on Den of Angels HERE. 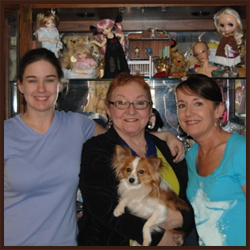 The dolls can be ordered by email to Catas or by PM to Catas through Den of Angels. The dolls can also be purchased from seller jeeryama at eBay shop Doll Singing. Catas and Jeeryama are the only authorized DikaDoll sellers. Catas also has a blog site where she can be contacted. That site can be seen HERE. Tiny doll fashion company dollb’s first tiny doll. Read about it HERE. LoongSoul Dolls opened in November of 2009. JiangShang XiaoLong, the designer of the dolls and the creative force behind the company works to achieve a balance between the facial sculpt and and a beautifully designed and posable body structure. Find out more about the company HERE.